This map shows territory of Russia. On this map city Rzhev presented. 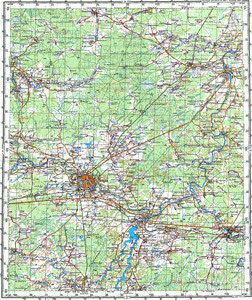 On this map town Staritsa marked. town Zubtsov presented. Panjukovo presented. Dvortsy marked. Displayed Zybino marked. Zorino free download. Displayed Zheludovo marked. You can find here Zhelezovo presented. On this map Zavrazh'ye presented. Zasukhino marked. Zarubino download for free. On this map Zarevino marked. On this map Zarechnaya free download. Displayed Zamyatino presented. Zal'kovo free download. Displayed Zales'ye for Garmin.